The opening race from Kempton is the Matchbook Betting Exchange EBF Novice Stakes, and the eye is drawn to the infamous Golden Horn/Cracksman colours of Anthony Oppenheimer, as Sucellus makes his second start for John Gosden. Successful on debut for the yard at Wolverhampton back in December, he ran onto lead late but saved his best work until last. Last year's Champion Trainer will unleash his big guns in the weeks to come, but Sucellus - a son of Dansili could certainly be another three-year-old with some big race targets himself if coming through this unscathed. The star attraction in the Listed Matchbook Magnolia Stakes - Matterhorn, currently shares the advantage as the winning most horse in the All-weather season over the winter. No bet from us in the 2:40 or the 3:15, so onto the next which is the Will Unwin Half Century Novice Stakes over seven furlongs. It is a Class Four, and Daarik can add another success on the day for us and John Gosden. His debut for the yard really was like his first day at school - slowly into stride and ran green in the rear. Gosden has a fine record for sending young recruits at Newcastle (Stradivarius/Enable), and Daarik put his best put forward there when recovering to win back in November. Can kick on here in the colours of Hamdan Al Maktoum. Welcoming certainly welcomed improvement with each run as a two-year-old, and now heads for the Matchbook Best Value Exchange Handicap. Three runs last year - finishing second on Debut, before jumping up to a decent Class Two at Goodwood where he finished third to the 125/1 Feel Glorious. Plenty to like from that effort that day, and subsequently won at Haydock by a wide margin. Moves to handicaps off a fair mark, and will need to negotiate the widest draw of all. Nylon Speed carries an excellent record at this track, and will head into the finale - the Matchbook Casino Handicap over a mile-and-a-half, with all guns blazing. 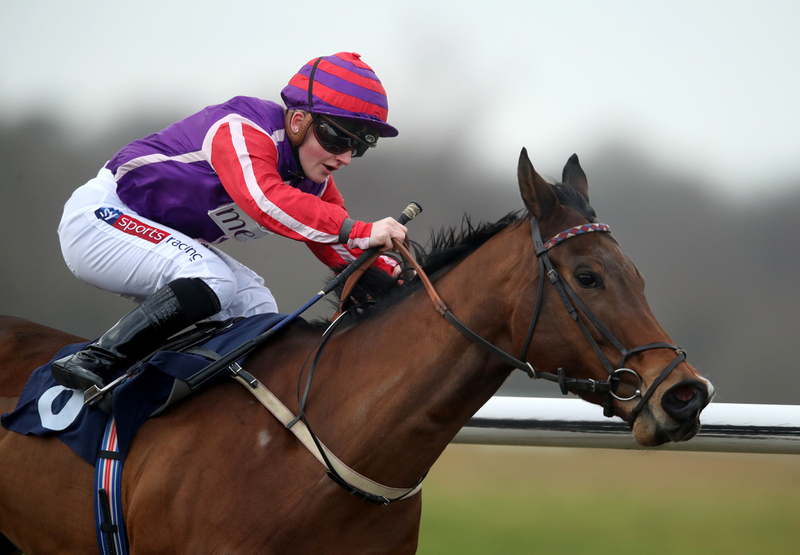 A course and distance winner from three weeks ago; adding to his win at Lingfield back in January, he landed the spoils after a sharp turn of foot inside the last couple of furlongs saw him lead at the post under David Probert. The jock is back on board again, and surely goes into the selection list in this interesting contest.